Take advantage of this powerful forms tool! Form Simplicity is designed specifically for Realtors working in the office and mobile environments. It's a free member benefit. Access forms manuals, forms translation documents and get the latest forms updates. Also find the list of forms vendors here. Use these technology resources to make the most of your business day. 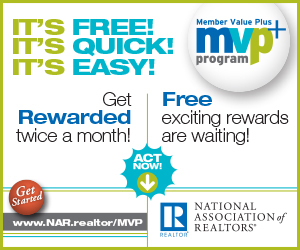 Discover updated information on unique offers and discounts, just for REALTORS®, in this full-color catalog to print and share. MEMBER BENEFIT ACCESS (LOG IN REQUIRED). A customized analytical tool developed for Broker or Broker Managers by the Association, you can easily monitor and track office performance and agents progress and profitability. Professional Real Estate Marketing including analytics and stats. Brand yourself in a one stop shop. Free to Members. Available in the App store or Google. The mobile application allows you and your customers to work together and share information throughout the home buying and selling process. Realist® is a public record database that seamlessly integrates with Matrix to provide in depth property and tax data. Supra Lockbox System communicates via Bluetooth. Track your listings and showings online for the safety of your sellers using your smartphone. Manage your showings with CSS. Appointment scheduling application which includes a mobile app. Comprehensive Data and Analytics tool for residential and commercial practicioners. Proxio connect you to a worldwide network, tranlated into 19 different languages, it provides an international listing platform. The #1 online source for new home inventory for our members. Inman provides the latest news and insights for real estate professionals. For the following benefits please contact the Association at 239-936-3537. The SWFL CIE exists to help professionals share commercial real estate information in SWFL. It‘s a database of commercial property listings & recent sale/lease comparables, and a tool for research, marketing, communicating & networking. We offer many opportunities for continuing education and practical real estate training for the new and seasoned practioner. As civil litigation can become time consuming and expensive, the Association under policy of NAR, offers Ethics conflict resolution, Mediation, Arbitration and Ombudsmen Services. Once you join the Association, you agree to abide by the REALTOR® Code of Ethics and NAR policy. The Royal Palm Coast Realtor® Association has focused our Attainable/Affordable Housing Work Group efforts on a) establishing a non-profit 501(C) 3 Housing Foundation to provide gap assistance to essential workers in our community; b) providing required Homebuyer Education to the public; c) helping distressed homeowners to understand the options to foreclosure; d) supporting the efforts of Habitat for Humanity. This Foundation has been established to offer assistance to active primary members and affiliates and/or immediate family who are facing financial hardship and/or personal crisis. RPAC stands for the REALTORS® Political Action Committee, and it serves as a tool to give realtors a voice in local, state and federal legislative issues. Throughout the political arena, political action committees represent business, labor or ideological interests, and exist to raise and spend money to ensure their voices are heard at all levels of government. RPAC accomplishes all of this while being non-partisan. They support candidates who are pro-REALTOR®, regardless of party affiliation. This is how RPAC assists it's members, by providing them a seat at the table when important policy decisions are being made. How Does RPAC Help Me? Stopped Tax on Real Estate Commissions – Average REALTOR® saves $2,300 a year! Cut Capital Gains – For every Realtor® that's an extra $3,825 a year! Preventing Banks in Real Estate – Saves the typical REALTOR® $5, 400 a year!